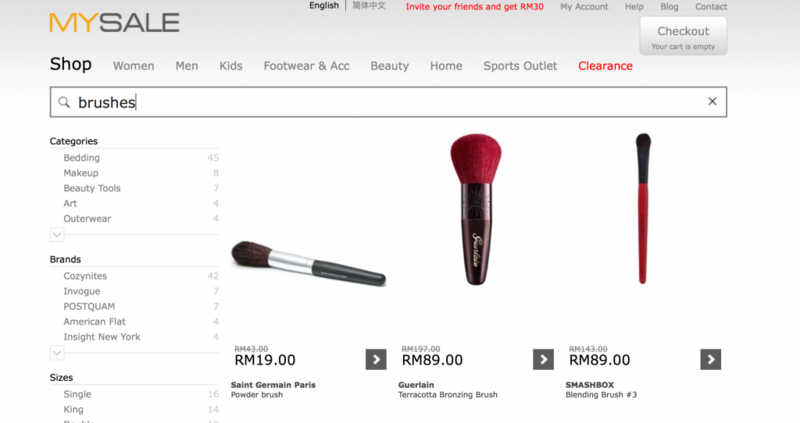 Where to buy(online) makeup brushes in Malaysia? I’m obsessed with makeup brushes but sometimes it’s hard to find good affordable brushes in Malaysia (online). 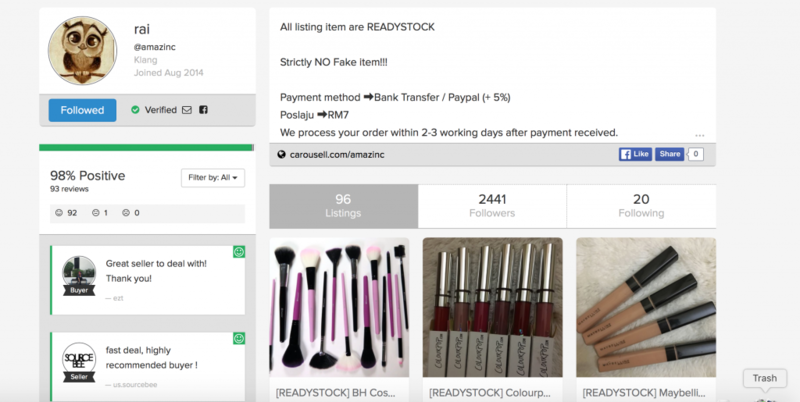 So, I went on a mission to find out where I can get affordable or even high-end makeup brushes in Malaysia and I can say that I find quite a few online platforms that sell makeup brushes. So, now I would like to share it with you guys. I hope you find this helpful and it’ll feed your cravings for new makeup brushes. I used to shop a lot of makeup brushes at Luxola but since now Sephora owns Luxola, it just became 10 times better because now they carry a lot more brands. You can find Zoeva (my favorite), Sigma Beauty, Tarte, Sephora Collection and many more. I always had good shopping experiences with Luxola, so I bet you’ll love it too and they offer free shipping for orders more than RM80. The only thing that I don’t like about Luxola/Sephora.my is, they no longer carry Real Techniques products. Bummer right? Hermo does not need grand introduction because I’m pretty sure all makeup junkies in Malaysia know about Hermo. They sell mostly Korean makeup brand but recently they have brought a lot of west products in. 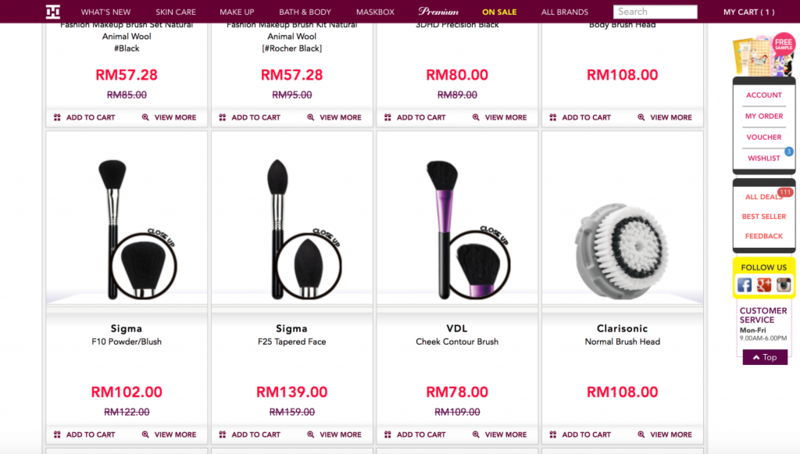 At Hermo, you can buy Sigma Beauty, VDL, Miss Hana, Cerro Queen and Stage makeup brushes. I’m addicted with Hermo because they always have sales going on. So, subscribe to Hermo’s newsletters. If you don’t know about Mysale, you’ve missed a lot sister! I’ve seen they sell Morphe Brushes, Cara, NARS, Tarte, Real Techniques and many unheard brands. What I love about Mysale is the price. The price is always so cheap and I always overspent there. But if you don’t like waiting for your order, I don’t think it’s good for you to shop there because it usually takes about 2-3 weeks before your order arrives. Looking at the price, I really don’t mind waiting that long. Grrr.. Another addiction. Iherb is not a Malaysia based company. They are based in the USA so yes you have to wait. Here you can find E.L.F Cosmetics brushes, Bdellium Tools, Ecotools , Everyday Minerals and Real Techniques products. I’ve bought things from Iherb and the waiting time is not bad at all. I received my order after 2 weeks. Yes!! I save the best for last. 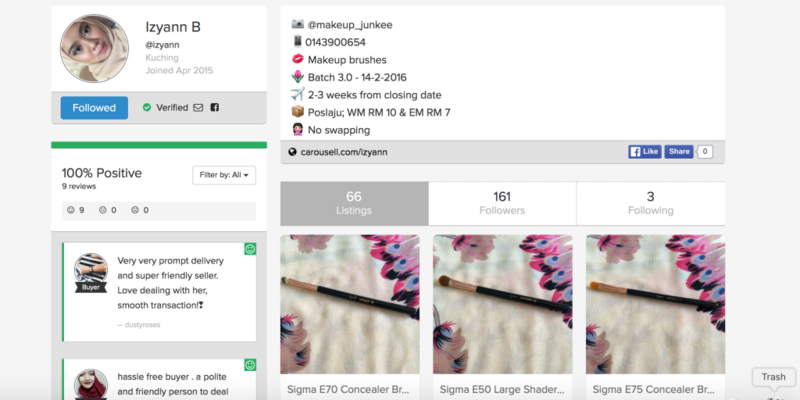 At Carousell, you can find a lot of sellers that sell makeup brushes. Some of them even sell factory-rejected brushes and the price is way cheaper. I’ve bought brushes with some of them and I’m sure you will be pleased. Wooohoo! 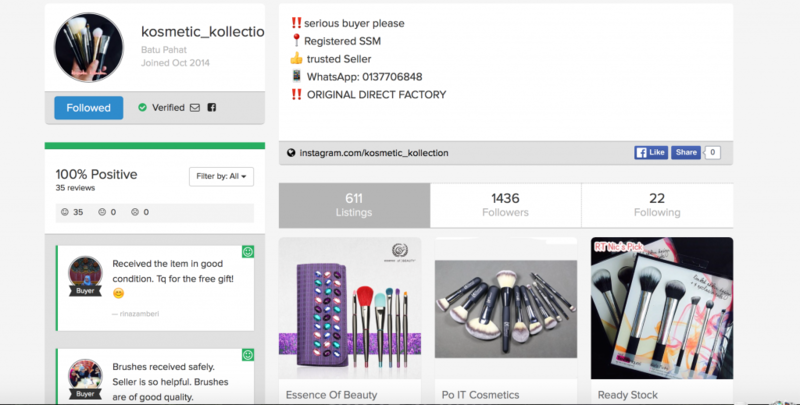 She sell Morphe brushes, rejected Sigma Beauty brushes, Real Techniques, Party Queen, Essence of Beauty, Sonia Kashuk, Style Master and list goes on. I bought my Style Master brush from here and I’m satisfied with her service. Some of her items are pre order and there is lots of product that’s ready stock. I’m always interested with her listings because she always brings makeup from the US. Rai sells Real Techniques brushes and Morphe brushes. 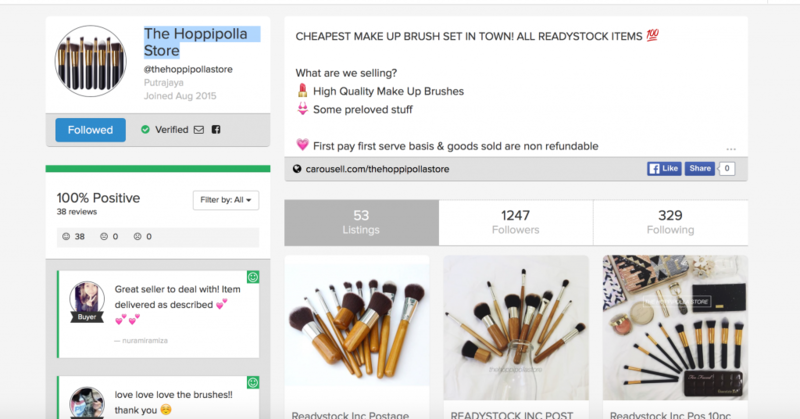 For a self-proclaimed makeup junkie like me, I almost went crazy when I saw her listings. There a ton of makeup brushes and she sells almost all them at very reasonable prices. She claims that makeup brushes she sells are rejected factory brushes but I seriously don’t care. Some of brushes that you can find are from Zoeva, Sigma Beauty and Tarte. If you’re looking for generic kabuki brushes or just regular brushes, Hoppipolla sells them and most of the brushes are priced between RM30 to RM50. 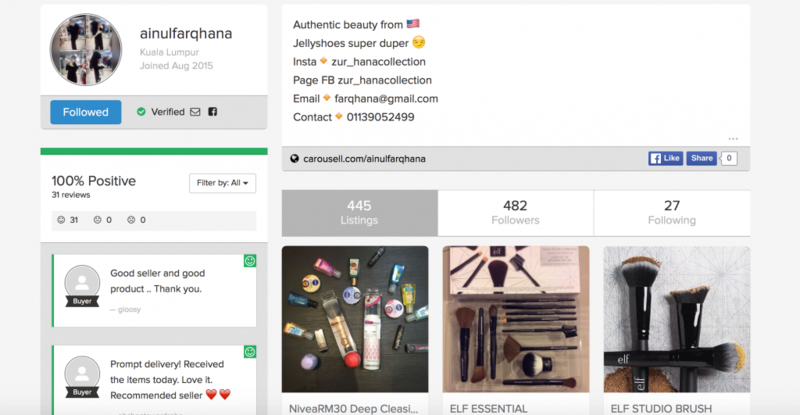 If you’re a fan of E.L.F makeup brushes, you should check her listing. I never buy anything from here but I’m planning to. I will update this list from time to time because I always find new germs online. So, if by any chance you find anything interesting just let me know in the comment down below. Thanks for sharing, Sae! This is awesome!! and so informative! Finally some helpful info about where I can get good makeup. I’m a makeup junkie as well!